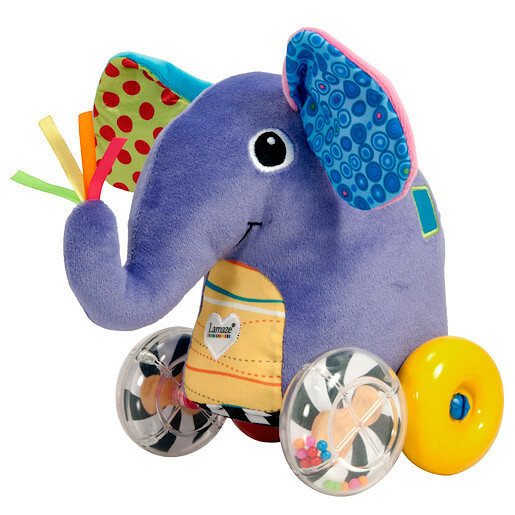 Push Along Peanut the Elephant for some wheely great fun! 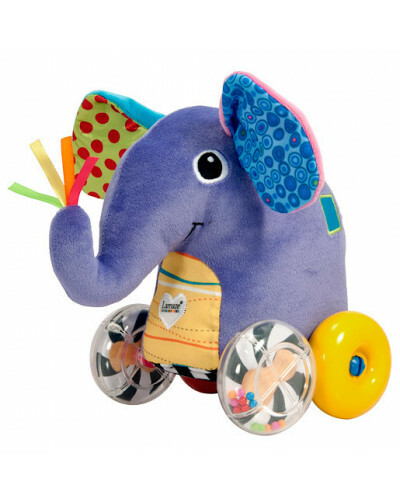 He's a loveable soft toy with crinkly ears and a ribbon truck that little ones love to touch. Peanut's also has a knotted tail and a squeaker to discover while the wheels make a rattle sound when pushed along. This is one elephant baby will never forget! 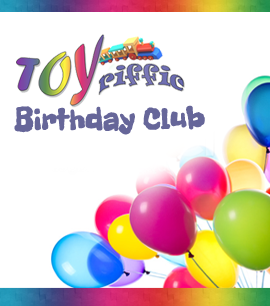 A great gift for ages six months and up.